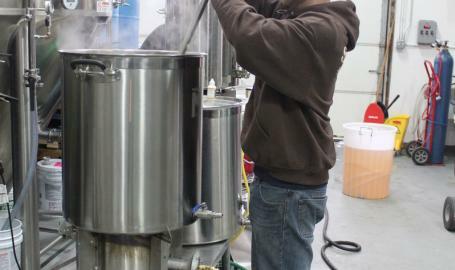 St. John Malt Brother’s story began during a snow blizzard on February 1, 2015 when they opened the doors of their taproom to a small crowd on Super Bowl Sunday. 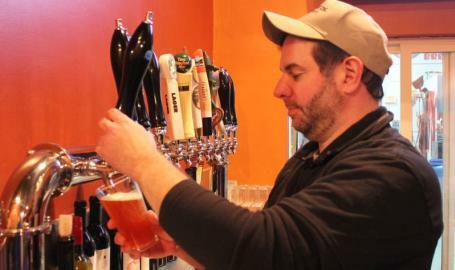 The 36-person capacity taproom has since gained a reputation of providing top-notch friendly service to all who walk in the door. 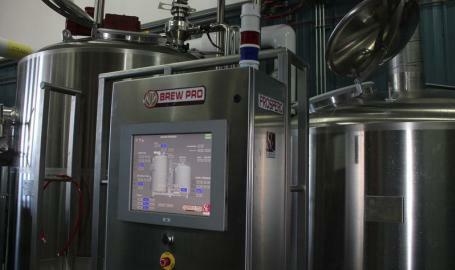 Weeks prior to opening day, the brewery was fired up with high-end computerized European brewing equipment and a 15-barrel production capacity brewhouse. They started with three beers of their own along with several guest beers. To keep up with demand, they recently added new equipment that allows them to produce 1,500 barrels annually. 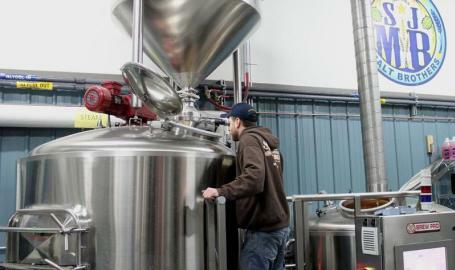 Malt Brothers, Jim Estry, a retired businessman, Dan Cox and Dave Witt, both engineers, say they all became craft beer drinking brothers sitting around the fire pit in their connecting backyards in St. John. Each of them have brought their own unique talents and passion for great tasting craft beer to build a craft brewery that shows no signs of slowing down. Dan Breed, Beer Commander, joined the team and has created a brand personality to satisfy everyone from the seasoned craft beer lover to those adventurers crossing over the line to the craft beer world. Dan’s true craft beer appreciation and brewing skills has brought St. John Malt Brothers to a tap line-up of more than 17 draft beers with a wide range of styles to add to their beer portfolio including but not limited to: Pale Ale, Black IPA, Kolsch-Style Ale, West Coast Style IPA, Porter, Blood Orange IPA, Belgian Tripel, Cedar Aged IPA, barrel aged specialties and small pilot batches. Their product is self-distributed to retailers, bars and restaurants in Northern Indiana, Indianapolis, Lafayette and Illinois. Canning of their beer is done on-site in the brewery as well as hand-bottling of a limited variety of 22 oz. bombers. Carry-out product is available 7 days a week, yes, including Sundays! The 64 oz. growlers are a customer favorite to take home and enjoy fresh draft beer with friends and family. 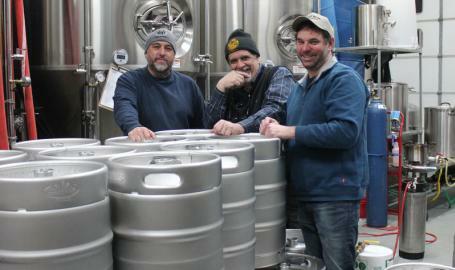 Kegs are also available for your personal kegerator or celebration. Malt Brothers Brewery & Eatery opened it’s doors on January 2, 2018 expanding it’s facility with seating capacity for more than 100 guests, full kitchen menu options and SJMB craft beer flowing from the taps. 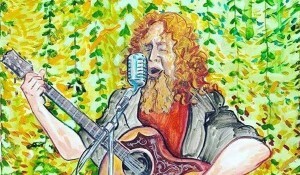 In March 2018, the Eatery received its license for the 21 and under crowd and has expanded it’s live music portfolio. The SJMB taproom remains open Friday and Saturday evenings for those who love the intimate brewery feel and enjoy drinking belly up to the bar with the view of the brewers in action. 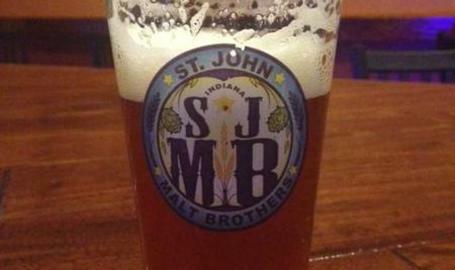 St. John Malt Brothers looks forward to their continued growth and involvement in St. John, Indiana. Stay in touch on their website sjmaltbros.com and on Facebook! Join their VIP Text Club and receive a FREE SJMB branded pint glass - Text: SJMB to 36000. 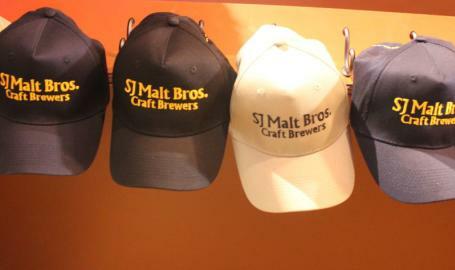 Cheers from everyone at St. John Malt Brother Craft Brewers!